Vacheron Constantin - Would you ...? If you would be faced with this situation would you trade $5k a Rolex Daytona Ceramic White, a Hulk and a Batman for a Vacheron Malte Perpetual Calendar Chronograph Platinum Ref. 47112 ? All complete and mint . I know that ultimately is what sings to me it's the right choice ,but I wonder what you guru's think. 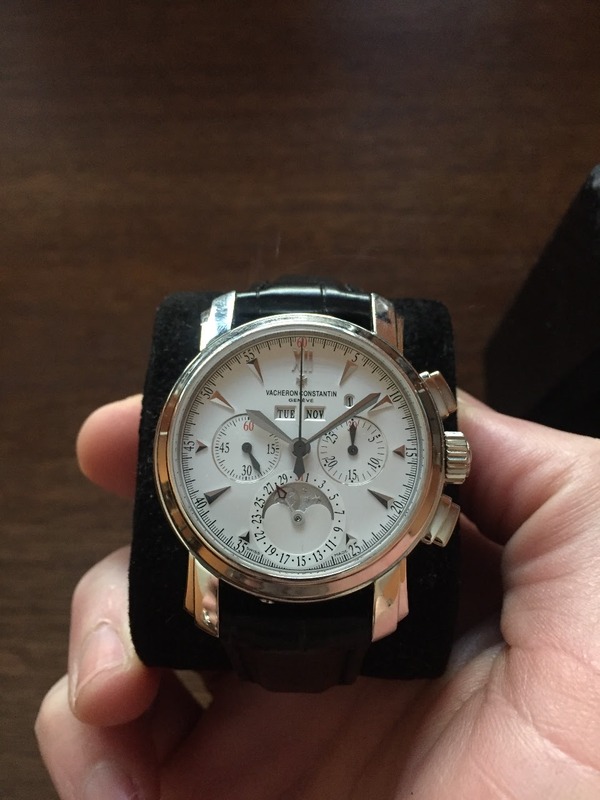 I also have a Patek 5396G . why are you asking us?? Because I'm on the fence,hearth vs. mind... Thank you. but I was forced to sell it ,so this would be a repurchase... Thank you. Have you thought about the short/mid/long term ownership of a complicated watch like the VC? Besides the chronograph function, the VC may be similar to your 5396G. 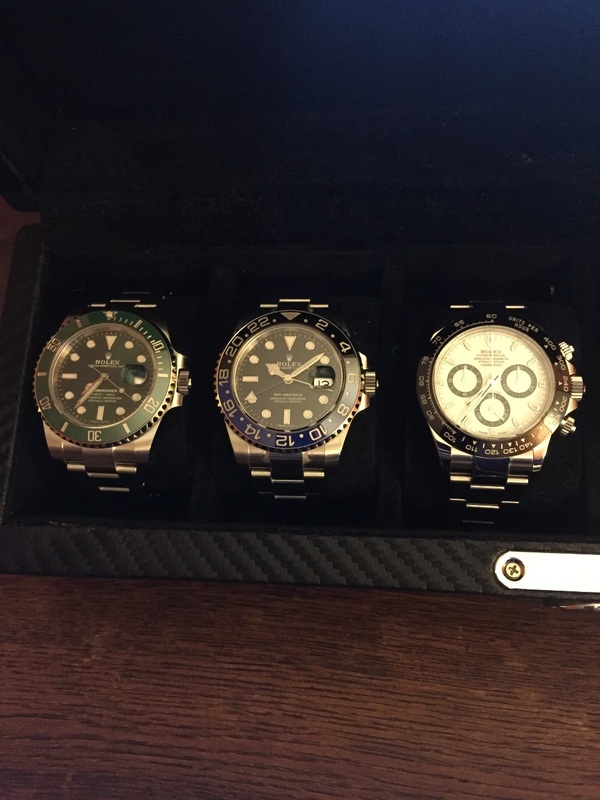 You seem to be fond of Rolex, perhaps keep the Daytona or Batman, trade the rest? Ideally keeping one of them would be great, but sometimes when a watch plays the "siren song", everything goes out the window. between formal and casual watches, Thank you . You had the VC Perpetual Calendar and now you want this PCC? No I originally had the same PPC I just sold it and I remember loving it ! But the truth is that I wear more the Rolex gang . Thank you . I would put in the trade the 5396G and would try to save one or two Rolex. No need for an annual calendar when you are on to have a Perpetual Calendar. I actually owned this watch and I loved it as well,but I sold it. I love the watch is just that the constantly rising value of the Rolex trio, and the possible discontinuation would make it hard to be repurchased . Thank you. When I owned the VC I loved it,I used to call it "The Ball"
They might be tough to replace. It's a tug of war between casual and formal Tough !!! Thank you for your imput and time . Of the watches you mentioned, do you find yourself wearing the Rolexes more than the 5396G? If so, having the PP & VC as dressy watches will still leave you wanting for a more sporty steel watch.